The votes were counted and the finalists were announced. Your 3 judges got to work and conscientiously rated these 5 runners. And I'll tell ya, rating these entries was no easy feat! All the runners are fabulous, and knowing the time and effort everyone put into their project makes choosing a favorite very difficult. Thank you again to everyone for participating! Happy Monday to you all! I hope you had a fantastic weekend, and a happy Easter if you happen to celebrate. Our Spring Runner Sew-Along has come to an end and our participants' entries received lots of votes over the last few days. Very exciting! It is now time to announce the five finalists. Once again, I'd like to acknowledge the wonderful job that each and every single participant did on their table (or windowsill or shelf) runner. If you haven't yet, go check out the entries on Flickr and leave a comment or two! Each entry was unique and lovely -- in look, design, and skill. The unfortunate thing about a contest is that not everyone can win the votes and the prize, but we sure were impressed with everyone's work and creativity. It's Friday! It's Friday! Sorry I'm a little late with the links. My husband is off work today and was hogging the computer. (He's looking over my shoulder as I write this, ha!) Happy Earth Day, by the way! Do you guys have any fun plans to celebrate the earth? We did a spring cleaning volunteer project last weekend, picking up trash in a historic downtown neighborhood, and I think we'll work on our potted garden and clean up the yard for a bit this weekend. Sunshine is in the forecast, yeehaw! - Our Spring Runner Sew-Along concluded this week with some fantastic entries. Remember to go vote for your favorite over in the sidebar! I love each and everyone of them so much, it will be hard to pick a winner. 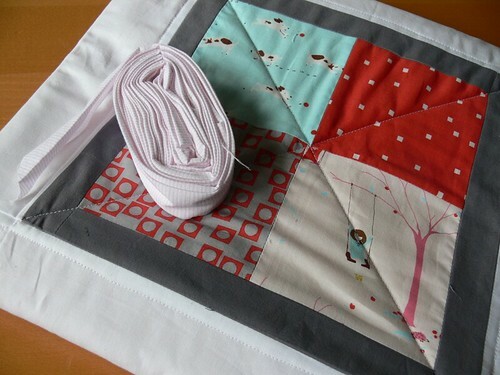 - In case you missed it, I posted the tutorial for my Charming Baby Quilt yesterday. It's as quick and easy as a quilt can be. If some of you make it, I'd love it if you could report back on the clarity of my tutorial. Need feedback! I got several requests to share the pattern for the Charming Baby Quilt I finished recently, so I put together a little tutorial. 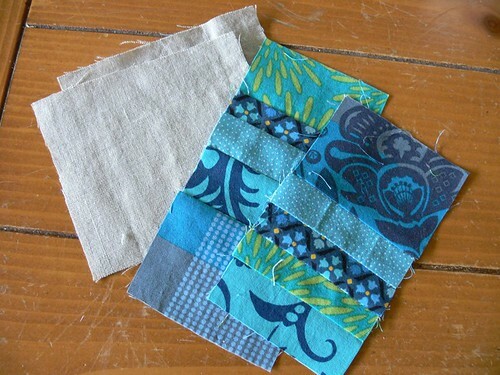 This quilt is very beginner-friendly: straight lines and simple piecing. It is also quite wallet-friendly as it only uses a charm pack (hence the name!) and minimal yardage for the quilt top. The frames created by the solid fabric around the groups of 4 charm squares are perfect for showcasing a super cute fabric collection (like Sherbet Pips!). 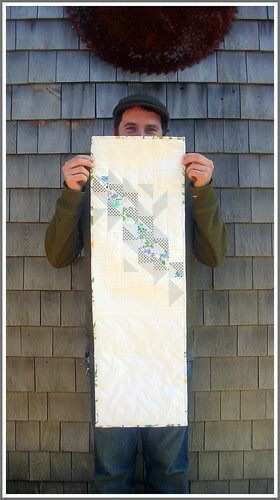 The finished size of this quilt is 44.5" x 44.5" so it's fairly small and makes a great baby quilt or small lap quilt. 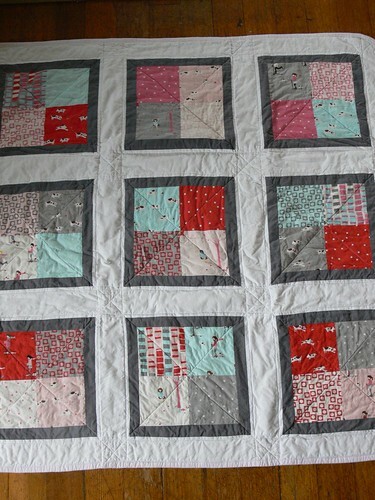 It would be very easy to adapt this quilt to a bigger size as well. I am no quilt expert: this is only my 4th quilt, and the 3rd baby quilt I've made -- I've learned a lot with each one and still have mountains to climb. I hope this tutorial makes sense. Please let me know if you have any questions in the comment section, or feel free to email me at stumblesstitches (at) ymail (dot) com. 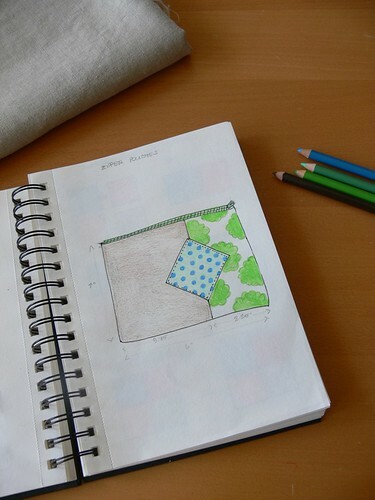 I drew some sketches to go along with my instructions. I should warn you that I was down on the floor, sketchbook and pencils in hand, while the baby was playing in front of me and the 3-year-old was running in circles around me, hence the messiness of certain images! I am hoping they help you visualize the process. 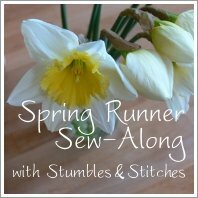 Spring Runner Sew-Along: Meet The Runners! The Sew-Along is almost over. Spring Runners have been submitted and it's now time to vote on your favorite! Let's check out all these beautiful entries! But wait. Before we move on to this whole voting process, I'd like to acknowledge the awesome work that all the participants did in this sew-along (including the ones who were unable to meet the deadline!). 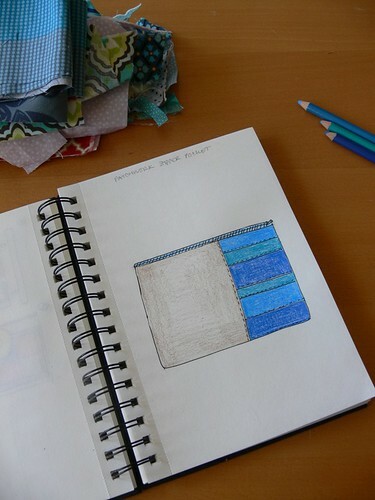 Angel and I have been very impressed with the range of styles, color choices, designs and finished projects. The range of skills was also impressive, with experienced patchworkers mingling with newbie sewists. Angel and I have come up with an idea for a little series: looking back at old projects, made before the existence of this blog. We thought it might be fun to see what we think of them now, reflect on what we've learned since, and just to share some more stuff we've made! The first thought that popped into my mind when brainstorming old projects to feature was: aprons! 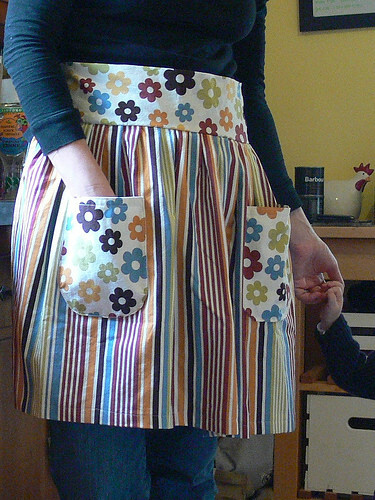 Back in the summer of 2008, when Ben was just a year old, I began sewing. It started with simple stuff like cloth wipes and inserts for his diapers and fabric bags for produce. Then by the winter, I decided I could sew a few Christmas gifts. Aprons were all the rage and that's what I made! 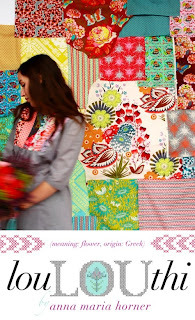 Loulouthi from Anna Maria Horner, sneak peek! 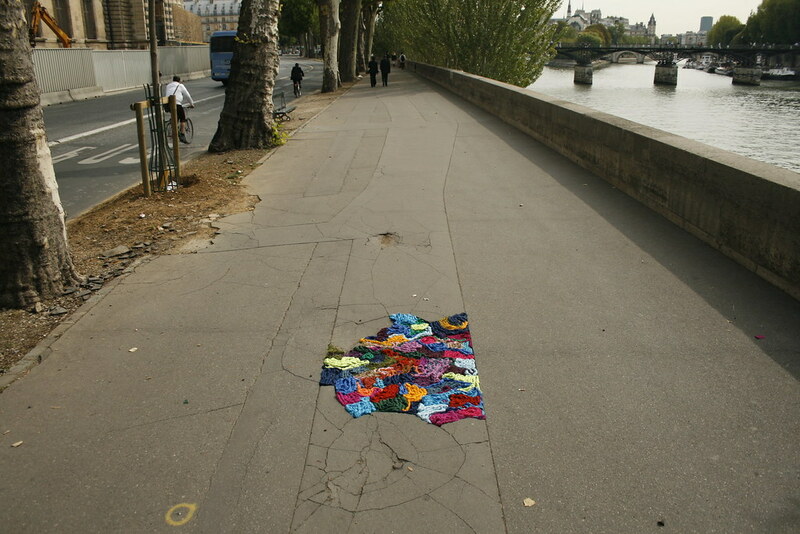 Love this creative way to fill in potholes by Juliana Santacruz Herrera, put some yarn in it! It's done! Well, technically, *almost* done. But, done enough to post!! I apologize in advance for the crummy pictures. It's rainy and very gray out, I have a to-do list 3 miles long and a 3-year-old who has traded his nap for a thousand interruptions. So, I didn't get a chance to iron the quilt or wait for nice light. But, this'll have to do because I really want to share! Happy Wednesday! One week left till the big Spring Runner showdown! (That sounds a bit intense for sewing projects, but it reflects how excited I am!!) I have loved seeing all the blog updates and latest additions to the Flickr pool from our participants. I am so impressed by the creativity and diversity of ideas exemplified by this little group and cannot wait to see the finished projects next week! Good morning! I've got good news and bad news from the home front today. 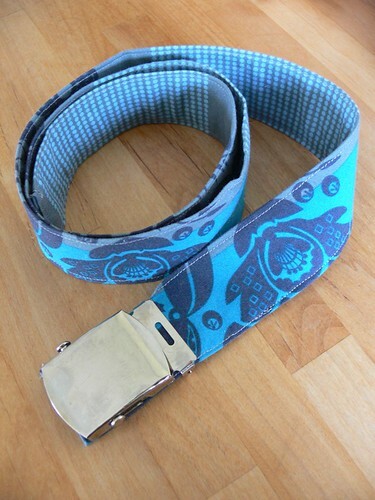 Good news: I have finally lost enough baby weight to warrant looking for a belt. Before you cheer: it's for my post-partum jeans, NOT my pre-baby jeans, but still, yay for breastfeeding! Bad news: I have finally discovered the source of that persistent musty mildewy moldy smell in the bathroom. Turns out my favorite canvas belt had been hanging on the hook behind the door for... ahem, way too long. It really is humid here, especially in our old bathroom without a vent, but I never thought a belt would grow mold. SO gross. Well, in a relatively rare act of wastefulness, I threw that belt away. Short of using bleach, I couldn't figure out how to clean it up and it was just, did I already say: EW. But, I still needed a belt, so I decided to make one for the belt buckle I'd saved before tossing that moldy webbing away! Hello everyone! Hope your weekend was FABULOUS. Mine was spent planting zinnias, calendula, strawberries and all sorts of other things, all in the almost-90-degree (and super humid) weather. Today we're back to Spring temperatures, with a giant thunderstorm coming (along with some tornado warnings). Typical! 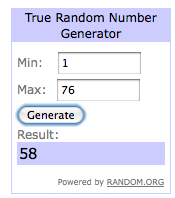 Anyhow, what you've all been waiting on: the winners of our Big Little Felt Universe giveaway! Thanks again to Lark Crafts for their partnership, we are super excited to bring you more book reviews and giveaways from Lark Crafts in the coming months. Ladies, check your inbox today for an email from me! And, congratulations! We'd also like to thank Prairie Point Junction and Felt-O-Rama for their participation in our giveaway, if you haven't already go check out their wonderful shops. Y'all have been a pleasure to work with! 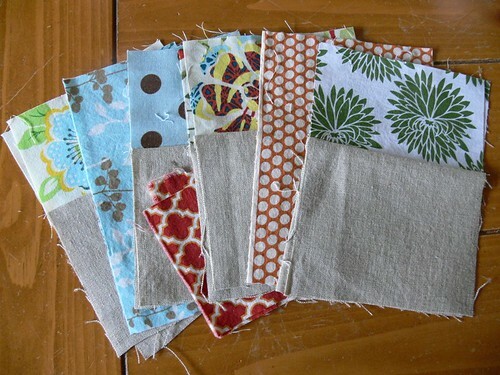 Last, but not least: Tomorrow, April 12, 2011 is the deadline to enter the Spring Runner Sew-Along! 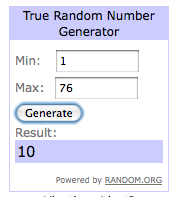 If you'd like to enter, just go to the original Spring Runner post and leave a comment, that's it! Happy Friday! I have so many links to share with you today, I think I'll jump right in. 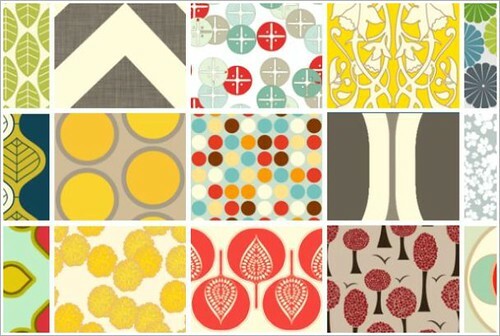 - Betz White just released a new organic collection of home decor fabric: Mod Max. Earthy and modern! 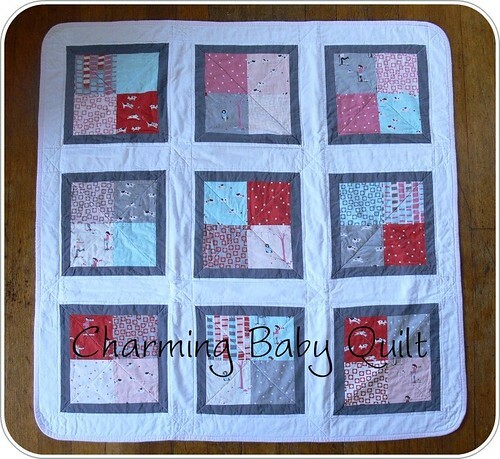 Charming Baby Quilt: So Close! Poor Angel, I'm so sorry you're out for the count with a nasty virus! Having just been sick as a dog for the first time since becoming a mom, I sympathize wholeheartedly. I hope you're getting a break or a little help somehow. May you feel better soon soon soon! As you know, I was planning on sharing my finished Charming Baby Quilt today. And, as predicted on our Facebook page, I jinxed myself by saying I was almost done! Tuesday morning is also my get-stuff-done morning, because one baby is way easier to handle than two! So, without further ado, let me share my latest fabric lust, so that I can move on to making some progress on my Spring Runner before school pick-up (or I really won't have anything to show you tomorrow). Do you remember my talking about making over our living room now that we have a new couch? We're still in dire need of some fresh pillows. I ordered a new slipcover for our hideously cat-scratched red armchair. (How we'll keep the cat from scratching our new furniture to shreds, I haven't yet figured out. But, one thing at a time.) And with our large pieces now in a more neutral gray and beige (i.e. kid-friendly) color scheme, I want some colorful pillows and accessories. 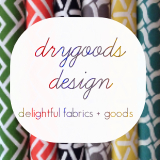 We are very excited to announce a new partnership with Lark Crafts! 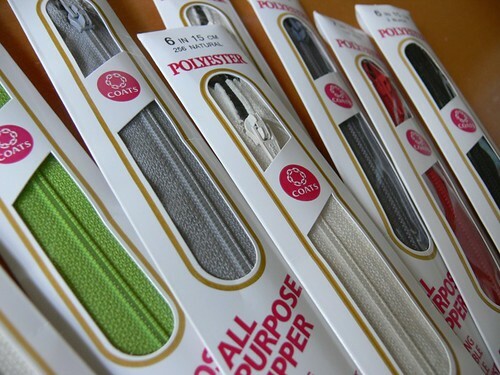 If you're crafty, you've probably heard of them. 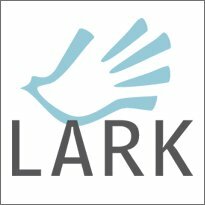 From their website: "Lark Crafts is a creative publishing group based in the beautiful and artistic mountain town of Asheville, NC. We love showcasing the best the craft world has to offer through how-to projects, comprehensive technique guides, spectacular visual galleries, and everything in between. 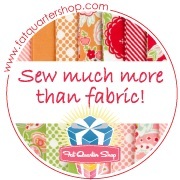 Lark has been in the business of providing crafters with information and inspiration for 25 years." Lark Press publishes an array of fabulous craft books. Every few weeks, we will be reviewing one of our favorite offerings from Lark. You can imagine this new partnership is making us book lovers giddy with excitement! Stay tuned for some great Lark giveaways... starting today! 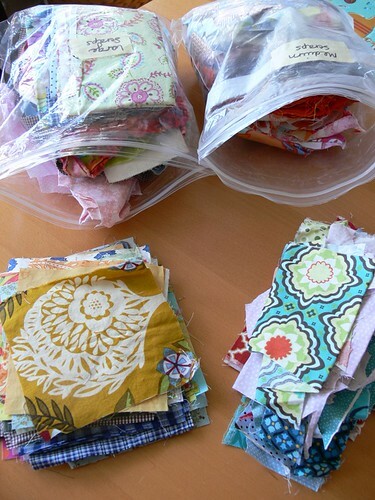 In the meantime, make sure to go visit the Lark Crafts blog, featuring tons of free projects and inspiration. You can also "like" Lark Crafts on Facebook and follow them on Twitter. PS: Congratulations to Jenny of Cut.Sew.Iron.Repeat (who said: "oh goodness, that embroidery of the girl carrying the books could be my own dearest daughter!! what great selection of items! "), she won the Magpie Patterns giveaway and is the lucky recipient of the adorable Book Smart pattern set by SeptemberHouse! A quick note to let you guys know we're making some updates to the layout of the blog this weekend. It will hopefully go off without a hitch, but if you notice some funky stuff in the placement of blog items, just know we're working on it! We want Stumbles & Stitches to remain familiar and cozy, so we're not changing too much: enlarging things a bit, and moving stuff around just slightly. We hope the new look will allow our content to "breathe", and more importantly, be more reader-friendly. - As promised, we added a Spring Runner section in the sidebar featuring all the little things you might need if you're playing along with us! 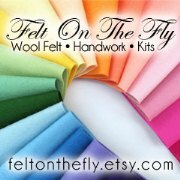 - We've created a blog roll of all Spring Runner Sew-Along participants who have a blog. We hope this helps us all stay in step with each other. Let us know if you want to be taken off. - We've begun adding page breaks in our posts. You will now see the link "Continue reading" after a quick intro. This allows you to more easily browse through all recent posts and click to read only those that interest you. Let us know your thoughts in the comments! And have a great weekend! Links for Friday: Is it Spring yet? The Stumbles and Stitches Twitter feed is full of folks talking about snow, cold weather and all manner of unpleasantness. I don't think Mother Nature got the memo that it's April! (Or maybe she's just trying to show us who's boss?) Nashville actually has a lovely weekend in store to hear the weather man tell it, I hope some of this warmth spreads to our friends across the country next week! 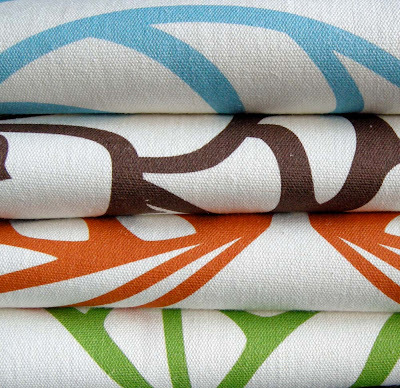 Sneak peek at Rashida's new fabric line! Joelle's Favorite Vest over at Purl Bee (I NEED THIS). Wearable Vessel Necklaces from Lil Fish Studio (swoon). And don't forget, enter to win a really sweet, super cute, book inspired set of embroidery patterns from Magpie Patterns.